There are some big secular changes occurring in funds management and there are some cyclical or even faddish changes. Someone who studies these trends more than most is Sean Healey, the chairman and chief executive of Affiliated Managers Group. AMG is the largest multi-affiliate manager in the world, with 39 firms under its umbrella, 20 of which have been added since 2009, accounting for a total of about US$730 billion under management. But despite its size and breadth of offerings, Healey says the company does not aim to be all things to all people. AMG does not have a fixed income manager on its roster, for instance, nor does it have an index manager. And he’s unsure about the permanency of one of the latest buzz words: “solutions”, which refer to products which combine several strategies tailored for market segments, in particular retirees. One of the permanent trends, he believes, is the full development of the “bar bell” approach to investing, with high alpha managers at one end and passive managers at the other. In between is difficult territory. Healey was in Australia last week for the 10th anniversary celebrations for its Australian office, run by Gregor Rennie, a managing director and head of distribution for Australia and New Zealand. The 12 affiliates participating in the Australian marketing program have raised about A$43 billion from local clients. 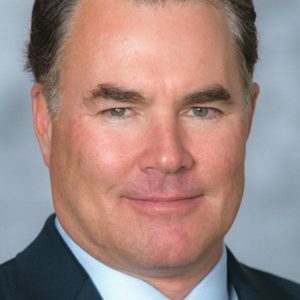 Rennie said that AMG and its affiliates – AQR Capital has its own sales and marketing office – have also branched out in their distribution strategies during the past 10 years. “Initially, AMG covered only institutional investors in Australia, but over the last decade we have also become active in a number of additional channels, including family offices and high net worth individuals, as well as wholesale investors such as financial planning dealer groups and licensees, research houses and platforms,” he said. That’s another trend which is secular: the retailisation of the industry in most developed markets, including Australia, due to several factors not the least of which is baby-boomers wanting control over their investments. Increased costs due to compliance with regulations, demand for transparency, fee pressure everywhere, are leading to cost cutting by managers – “sometimes crudely and inappropriately” – and consolidation. Healey’s last task for the M&A department at Goldman Sachs, of which he was an executive vice president and which he left in 1995 to join the then-fledgling AMG, was the purchase of a small public company by PIMCO. That was during the early stage of the incredible bull market in bonds. “There were huge flows, especially retail, into long-duration fixed income products. They were sold on yield and implicitly with the promise: ‘don’t worry, it’s a bond’,” he says. Such an environment is unlikely to return any time soon. And due to interest rate volatility, bonds may not be very liquid either. AMG’s affiliates are tilted towards alternatives, which make up 39 per cent of product types, and global and international (non-US) equities, which make up 24 per cent. US equities are 15 per cent. Some of the affiliates, Healey says, are in their second or third generation of management and ownership, with the AMG culture setting itself apart from other multi-affiliate managers because it allows true partnerships through the ownership of equity. Because of its size, AMG tends to focus on larger and more established boutiques to engage as potential affiliates. It has a universe of these of more than 1,800 globally and has about 150 “core prospects” with a median assets under management figure of US12 billion. A firm’s partner demographics or corporate sellers tend to be the catalysts for dialogue. But Healey says the firm has considered and still has on its drawing board the possibility of building a structure which would allow it to invest in smaller firms or start-ups. The affiliates so far being marketed in Australia and New Zealand are: Artemis Investment Management; AQR; BlueMountain Capital Management; First Quadrant; Harding Loevner; Ivory Capital; Pantheon; Trilogy Global Advisors; Tweedy, Browne Company; ValueAct Capital; and, Yacktman Asset Management.